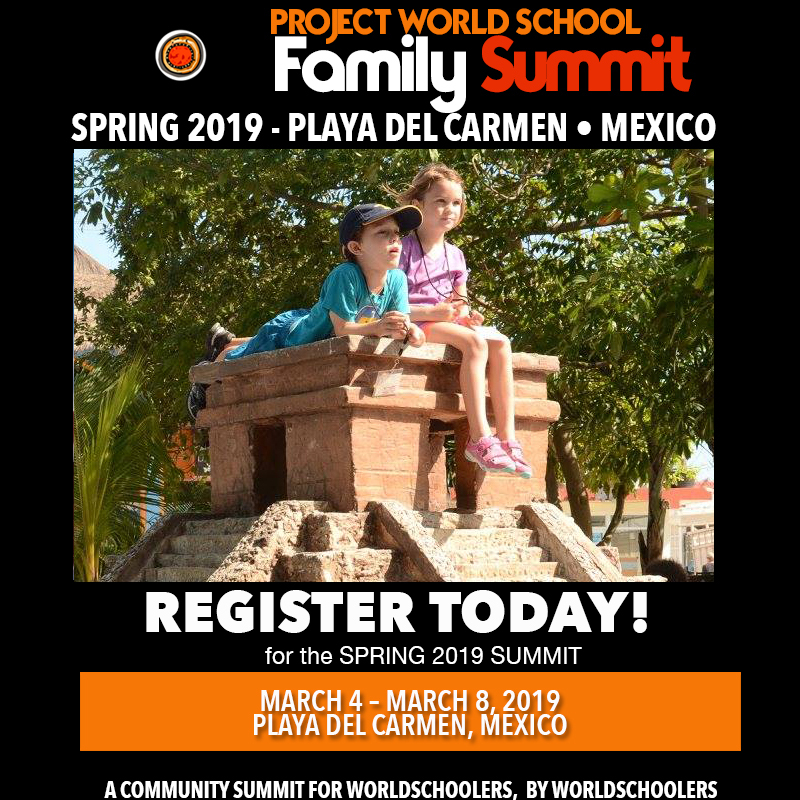 You are registering for the Spring 2019, Project World School Family Summit. 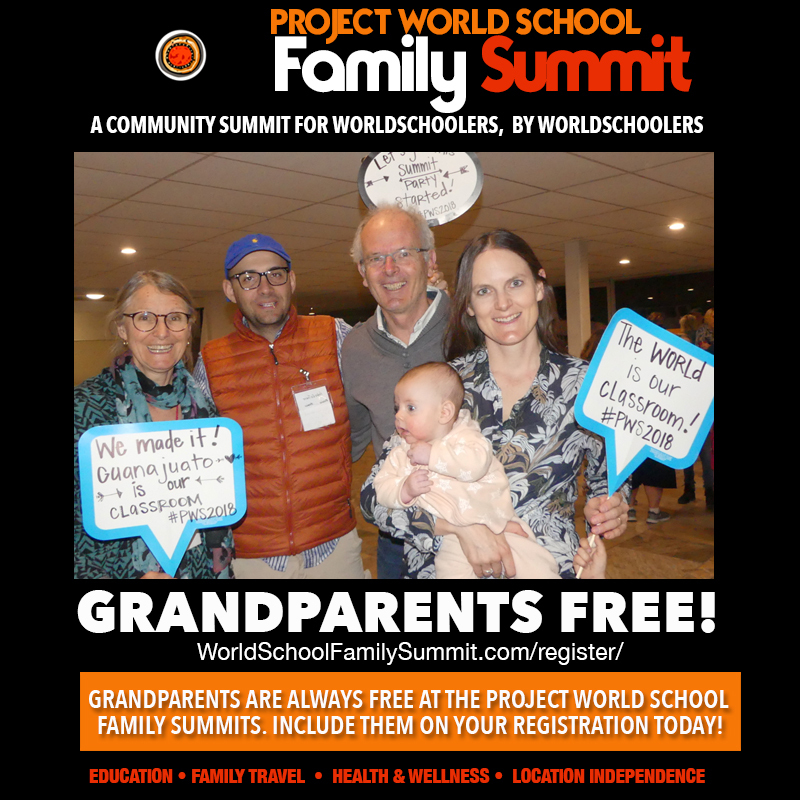 We are so excited to meet you in person at the next Project World School Family Summit! After you complete the form, you will be transferred to a paypal payment form. Please enter the TOTAL you wish to pay, which you can calculate by multiplying the number of people you are registering for over the age of 5 by the registration fees. Please think about sharing your knowledge, your expertise, your skills and talents at the next Project World School Family Summit. Please share you ideas in the form below and we’ll contact you to help you develop your idea for the Summit. To learn more about the sessions, please visit this page. To read more about the concept behind the Project World School Family Summit, visit here. *Please remember, you registration fees are non-refundable, but you can transfer your registration to another worldschooling family anytime up to one week prior to the summit. If you transfer your registration to another family, you must send an email to info@projectworldschool.com with the names of both parties and transfer details.